Friesen, Gerald. "Assiniboia". The Canadian Encyclopedia, 31 May 2017, Historica Canada. https://www.thecanadianencyclopedia.ca/en/article/assiniboia. Accessed 23 April 2019. 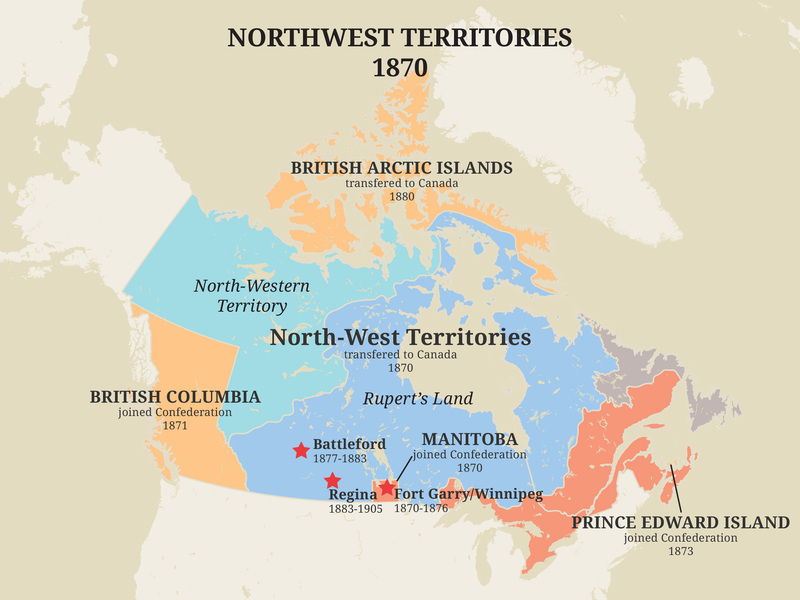 The first territory in Rupert’s Land to be delimited for governmental purposes, as distinct from trading districts, was the 1811 Hudson’s Bay Company (HBC) grant of 116,000 square miles (300,438 km2) to Lord Selkirk. After the Selkirk grant (known as the Red River Colony) was taken over by the HBC in 1836, a newly created District of Assiniboia was formed, encompassing the lands within 50 miles of Upper Fort Garry. The district was supervised by an HBC-appointed governor and council. In November 1869, the Louis Riel-led resistance movement replaced the HBC authority with the first of several provisional governments. The last of these, commencing in March 1870, was guided by a representative, democratically chosen, 28-member “Legislative Assembly of Assiniboia” and claimed authority over a slightly larger territory. 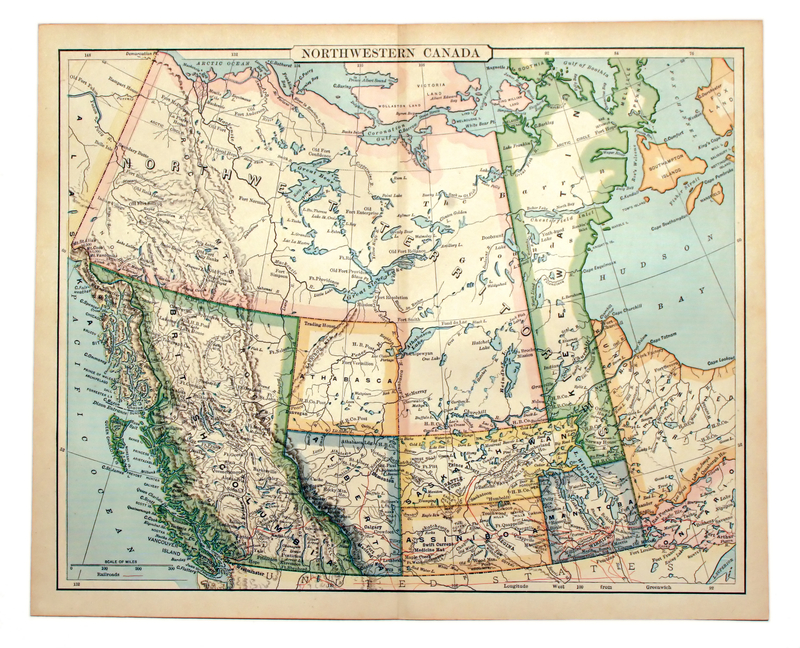 Several Lists of Rights were prepared in the assembly’s name and taken by delegates to Ottawa, where negotiations were conducted for the entry of all Rupert’s Land, including the District of Assiniboia, into the Canadian Confederation. 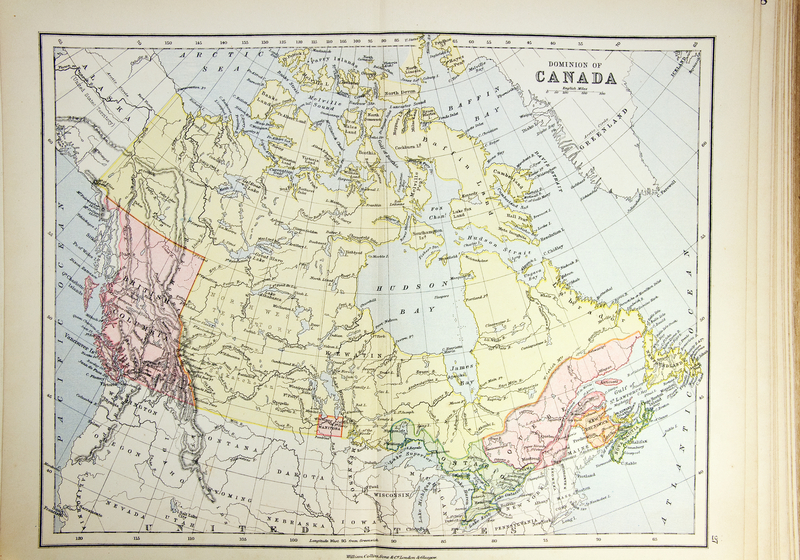 The assembly requested that “Assiniboia” become Canada’s fifth province. However, Louis Riel proposed instead the name Manitoba. The province was created 15 July 1870. 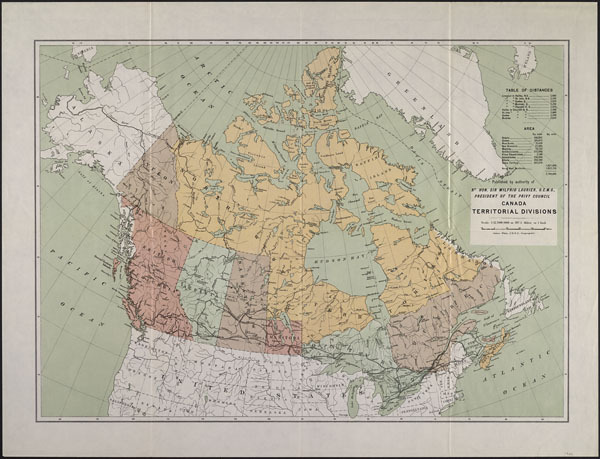 On 8 May 1882, the federal government created four “provisional districts” in the North-West Territories: Alberta, Assiniboia, Athabasca and Saskatchewan. Assiniboia was the southeastern district, occupying what is now southern Saskatchewan. The districts, designed “for the convenience of settlers and for postal purposes,” were roughly equal in size and natural resource distribution. Today the name applies to a number of local districts in the prairie region. A now-extinct federal constituency of Assiniboia, located in southeastern Saskatchewan, was prominent in 1919, when an independent farmers’ candidate defeated a former provincial Liberal cabinet minister, and again in 1935 when it sent former premier James G. Gardiner to Ottawa to become federal minister of agriculture.